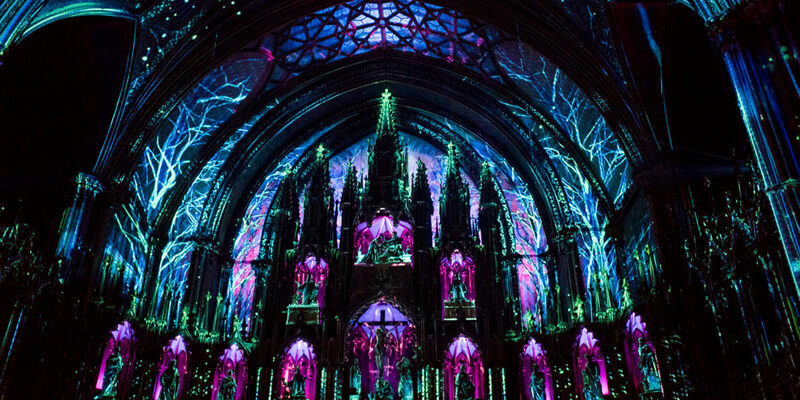 Light unveils the Notre-Dame Basilica’s rich heritage and invites us to celebrate its beauty. The experience begins with a path of lights, revealing the Basilica’s wealth of exquisite works. Then, light, orchestral music and grandiose architecture combine to create a unique, three-act multimedia spectacle. Let yourself be transported by AURA.